The best way to cook most vegetables is to simply chop them up and roast them in an oven with olive oil, salt and pepper. It takes a little longer than steaming or sautéing, but that hint of sweet caramelization and slightly crunchy edges absolutely make up for it. These are vegetables at their best, showcasing their inherent flavor. 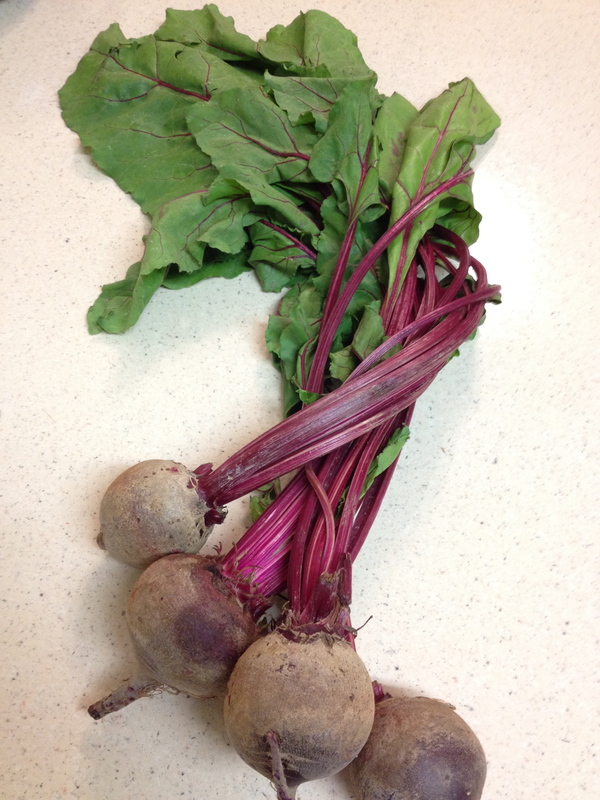 This was my first experiment with beets. Their sweetness is beautifully exaggerated by roasting, and they add a great pop of color to your otherwise dull vegetable medley. 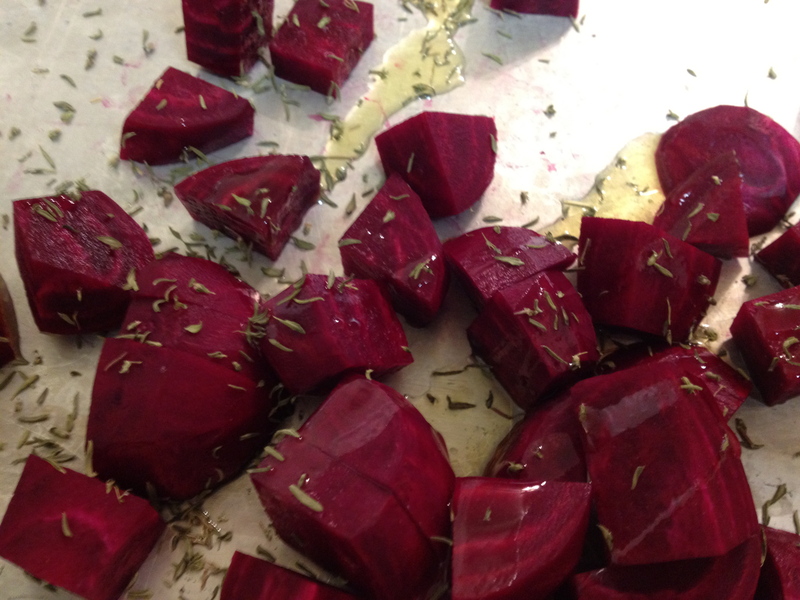 Wash the beets thoroughly and place them on a baking sheet. Bake for about 20 minutes, or until tender. Wash and peel the carrots and parsnips. Slice the carrots into spears about 2 inches long and quarter. 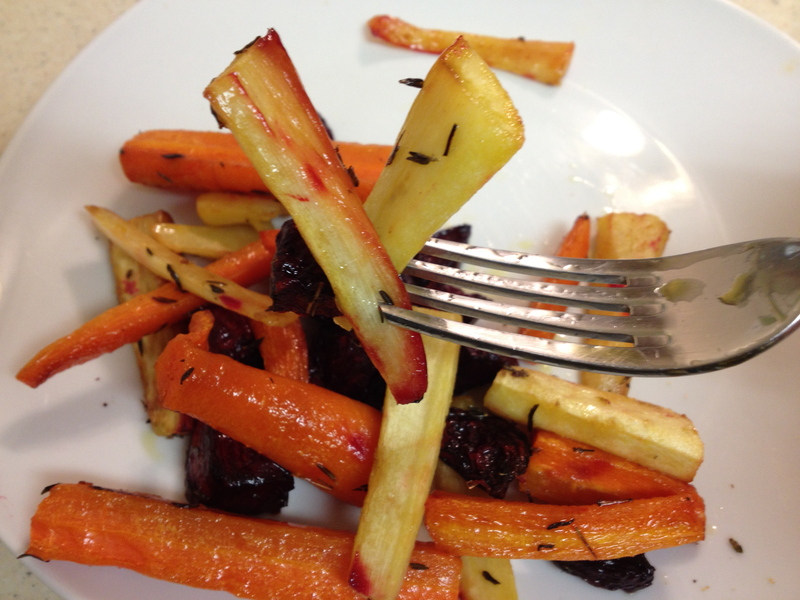 Do the same with the parsnips, but be sure to cut away the woody core in the center. You can see the outline of the core when you slice the root into quarters. 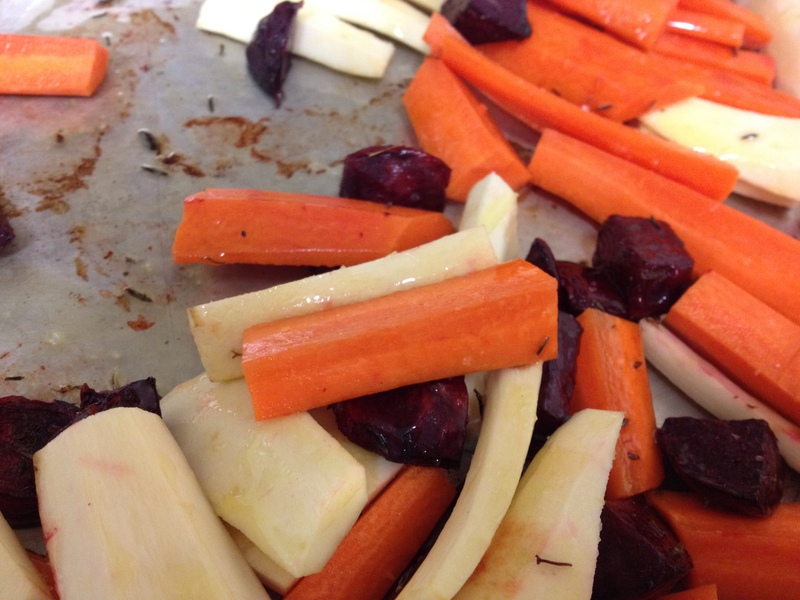 Roast the carrots and parsnips for about 15 minutes. Meanwhile pop the beets out of their skins and dice. Toss with the thyme and add to the carrots and parsnips. Sprinkle the vegetables with olive oil, salt and pepper. Bake again for another 5-10 minutes.